This exclusive formula face cream immitates your skin's natural lipids by retaining essential moisture and nutrients, aiding the natural protective barrier against the environment. 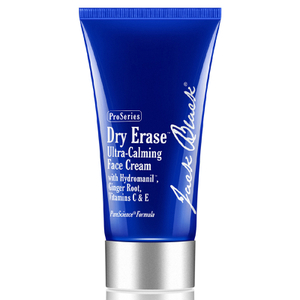 Infused with skin comforters and anti-irritants for a calming and soothing daily face cream, also reducing redness. Water (Aqua), Aloe Barbadensis (Aloe Vera) Leaf Juice, Caprylic/Capric Triglyceride, Oryza Sativa (Rice) Bran Extract, Simmondsia Chinensis (Jojoba) Seed Oil, Glycerin, Glycereth-26, Persea Gratissima (Avocado) Oil, Butyrospermum Parkii (Shea Butter), Cetearyl Olivate, Cetearyl Alcohol, Sorbitan Olivate, Dimethicone, Ammonium Acryloydimethyltaurate/VP Copolymer, Hydrolyzed Caesalpinia Spinosa Gum, Cetyl Palmitate, Ceteth-10 Phosphate, Dicetyl Phosphate, Sorbitan Palmitate, Cucumis Sativus (Cucumber) Fruit Extract, Caesalpinia Spinosa Gum, Arginine, Panthenol, Tetrahexyldecyl Ascorbate, Tocopheryl Acetate, Bisabolol, Zingiber Officinale (Ginger) Root Extract, Camellia Sinensis (Green Tea) Leaf Extract*, Spirulina Maxima Extract*, Tetrapeptide-21, Ethylhexylglycerin, Hexylene Glycol, Caprylyl Glycol, Phenoxyethanol. *Certified Organic. Excellent product. I bought this moisturiser because I have combination skin with a few dry & irritated patches, due to wind/cold exposure from cycling. Repeated use in the evenings has really helped to improve my skin condition and reduced redness and irritation. Bravo Jack Black! I've used loads of different creams over the years, this is the only one I've found that doesn't cause problems. I only use a small amount and its half the price of some of the big brand alternatives. For me its a great product. Your skin can't be dry with this product! Jack Black Dry Erase Ultra Calming Face Cream (73ml) is the best night cream! It gives my skin intense hydration which lasts all night. Best of all it's not greasy! It's also very useful in winter when my skin feels dry and becomes red.